Back by popular demand! 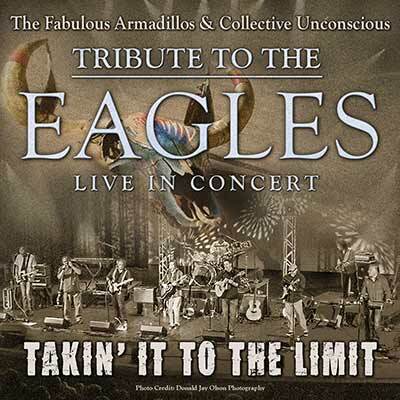 Two bands, Collective Unconscious and The Fabulous Armadillos, combine talents and return to present their most remarkable tribute concert to The Eagles – the quintessential band of the ’70s and ’80s. CDT audiences have embraced every minute of this incredible concert event and are known to sing and even dance along to such hits as: “Take it Easy,” “Life in The Fast Lane,” “Desperado” and many more. This offering sold-out all its houses in 2012, 2013, 2014, 2015, 2016, 2017 and 2018! Do not miss this!